Nope. This is the first time I’ve heard of it, but it looks AWESOME!!! 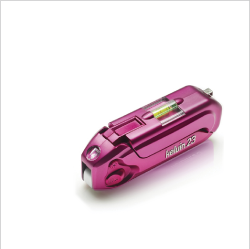 I’ve heard of a multi=tool but not a Kelvin multi-tool. LOVE THE PINK! I have never heard of the Kelvin Multi-Tool before. I think it would be great to keep in the kitchen for those jobs that always come up. Most of our tools are in an outside shed and having this multi purpose tool inside the house would be convenient.